When we think of beeswax (sometimes written as bees wax), generally this is in connection with the substance produced by honey bees, since these are the species from which wax is gathered by humans. Of course, bumblebees also make it, for constructing nectar pots, and covering eggs. Among honey bees, it is produced by female worker bees. The wax is secreted from the underside of the abdomen – see this diagram revealing Honey Bee Anatomy. Most of the wax is produced by young bees, and in fact, the glands that secrete the wax will reduce in size as the bee grows, and eventually takes on foraging duties. 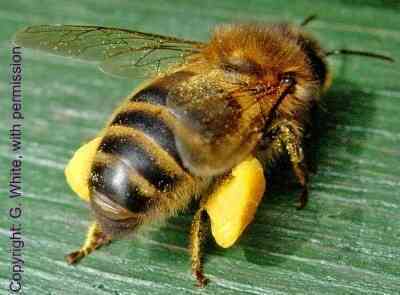 After young bees have secreted wax from their abdomens, other worker bees then gather it up ready for use. In bumblebees, the making of wax starts after the the queen has found a suitable place to nest. She must get to work producing the wax that she needs in order to rear her colony. Again, it is secreted from the underside of the abdomen. Cuckoo bumblebees however, do not produce wax, and this is one of the features making them reliant on their chosen host species. Why Do Bees Make Beeswax? 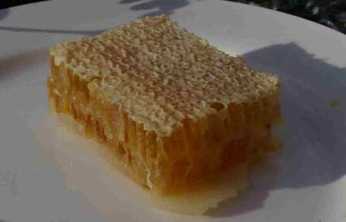 In honey bees, wax is used in making the individual cells that compose the honeycomb. 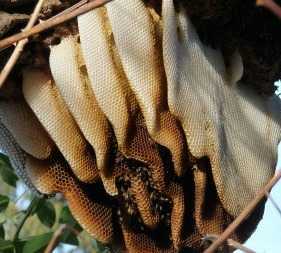 In the image left you can see honeycomb built by bees in a natural nest. Wax is also used at the end of the process of honey making. When the nectar that has been collected by the bees and placed into the honeycombs is ready, the bees ‘cap’ the honey. This means that a layer of wax is added over the honeycomb, so that the honey may be stored ready for when the bees need it during the winter. To read more about this, see How Do Bees Make Honey? Bumblebees do not construct honeycombs, as they have no need to store nectar for a very long period. 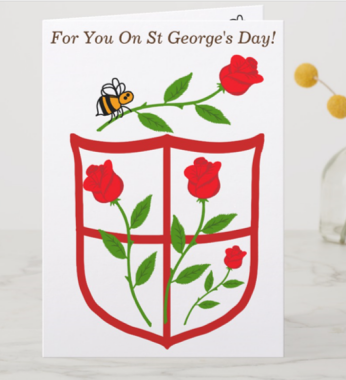 This is because unlike honey bee colonies, bumblebee colonies do not survive the winter (apart from some species in very warm climates) – only impregnated queens survive and hibernate, then emerge the following year – see Bumblebee Lifecycle for more information. 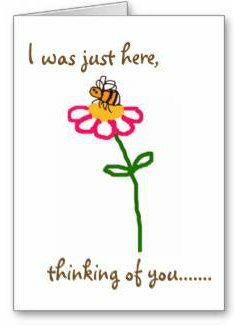 Interestingly, humans have been using wax made by honey bees for a variety of things going back many, many years, and not merely candles. For example, it has even been used as a painting medium, and continues to be used today. This is called 'encaustic art'. 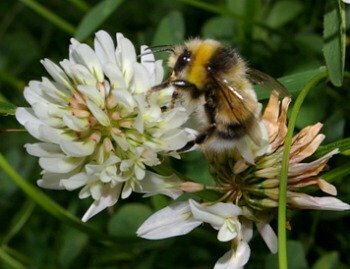 Learn about Bumblebees; Honey bees and Solitary bees. Honey is food stored by honey bees to see them through the winter?